It doesn't seem like it could be a year already. Where did my puppy go? Now starts the fun! Since Timber is a year we can start focusing on agility. He has the drive that I was hoping for. We're taking baby steps into agility hoping to not repeat some of the problems that I had with my other dogs when I was competing. Actually it wasn't the dogs as much as it was the way I trained them to do certain things. I'm not making those same mistakes with Timber. For instance - Contacts. 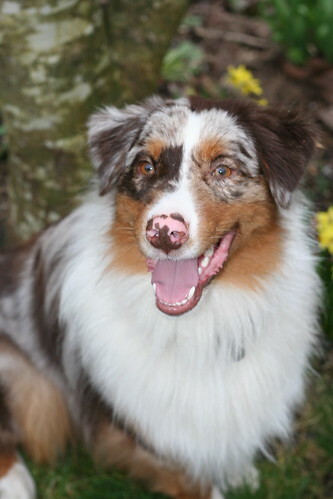 Farley, my last aussie and Dakota, my border collie, would only stick their contacts if they felt like doing them. Or if I was right by them telling them to do it. Not this time, Timber is going to know his job before we start going over the full contacts even if it means spending the next year doing nose touches to a target plate at the bottom. I can't tell you how many times I'm asked that question. I always have to giggle a little to myself when someone asks. They really have no idea. 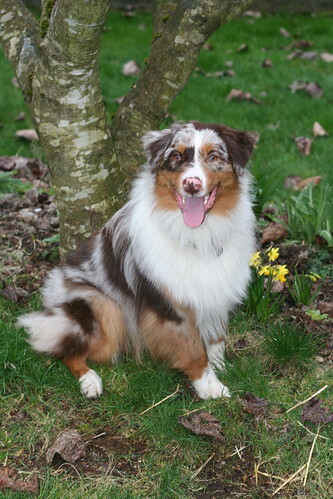 In the cool Pacific Northwest climate, these dogs have good coats. This is the 3rd time this week that I have brushed Don Juan, and each time I've had a pile of hair equal to what you see here. There is at least one more pile worth of fur ready to brush out tomorrow. Bath time is coming soon and then he'll be done until the fall while all this hair regrows. 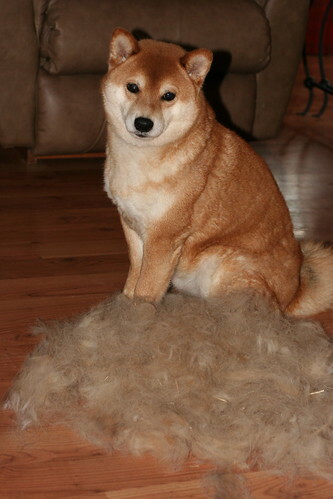 Fortunately, this amount of shedding only happens a couple times a year. But all year long if I'm dressed up and wearing black pants, you'll find me sporting a nice coat of shiba hair from the knees on down.